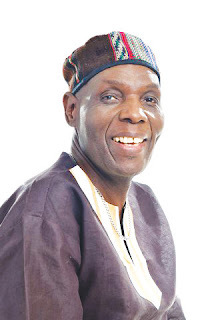 MASVINGO - The Mirror sent the journalism fraternity abuzz on Wednesday last week when it broke to the world the story of the death of international music icon, Oliver Mtukudzi. The country’s leading weekly regional newspaper broke the story on its twitter 30 minutes after doctors declared Mtukudzi dead and this was almost one hour ahead of the next newspaper to carry the story on its website. People called from all corners of the world trying to establish whether this was indeed true considering that The Mirror which is 300km from Harare broke the story ahead of national newspapers located a few hundred metres from Avenues Clinic where Mtukudzi breathed his last. “The Mtukudzi story is the biggest that we have broken as a newspaper and we were inundated with calls from all over ithe world ncluding journalists from national and international media. Some people insulted us on social media for spreading fake news. However, an hour later more and more newspapers carried the story after verifying our twitter post,” said Nkulumani Mlambo, The Mirror Editor. Journalists’ social groups debated intensely on how a paper 300km away can scoop newspapers in the capital city. Many journalists were full of praise for The Mirror for breaking news is one of the key attributes of good journalism. Mtukudzi’s story helped to increase The Mirror’s popularity all over the world.